Liven up desserts with this more-ish crunchy topping. Melt the butter and honey in a saucepan then stir in the remaining ingredients. Pour into a roasting tin and bake for 10 minutes until golden. Cool slightly before breaking up into clusters. Allow to cool. 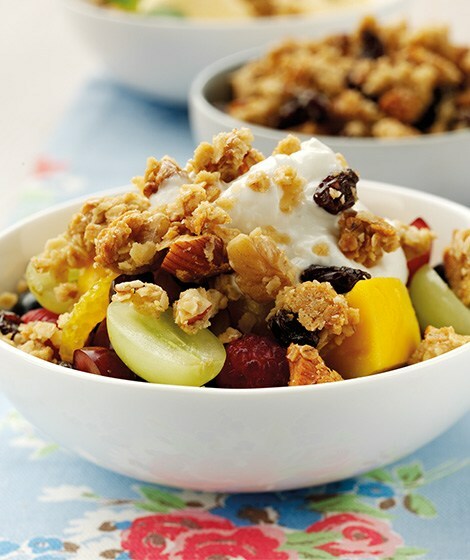 Serve as a topping for ice cream, yogurt or fresh fruit salad. This can be cooked in advance and kept in an air-tight container for a quick and easy topping.